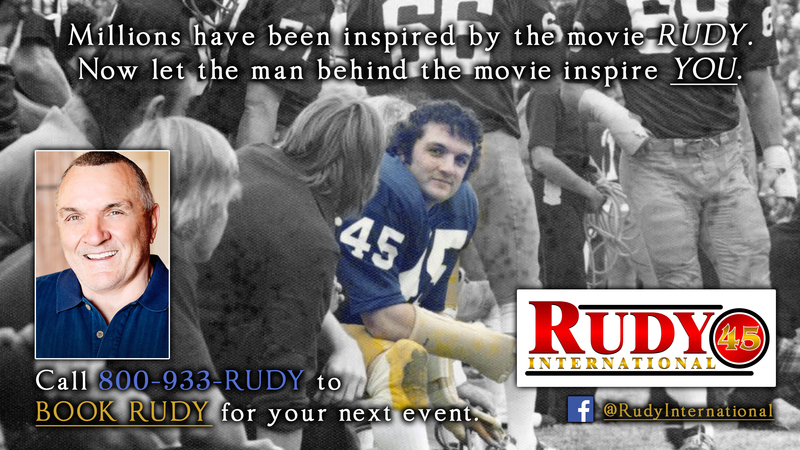 Celebrity- RUDY's message inspires audiences to Never Quit and brings them to their feet every time! 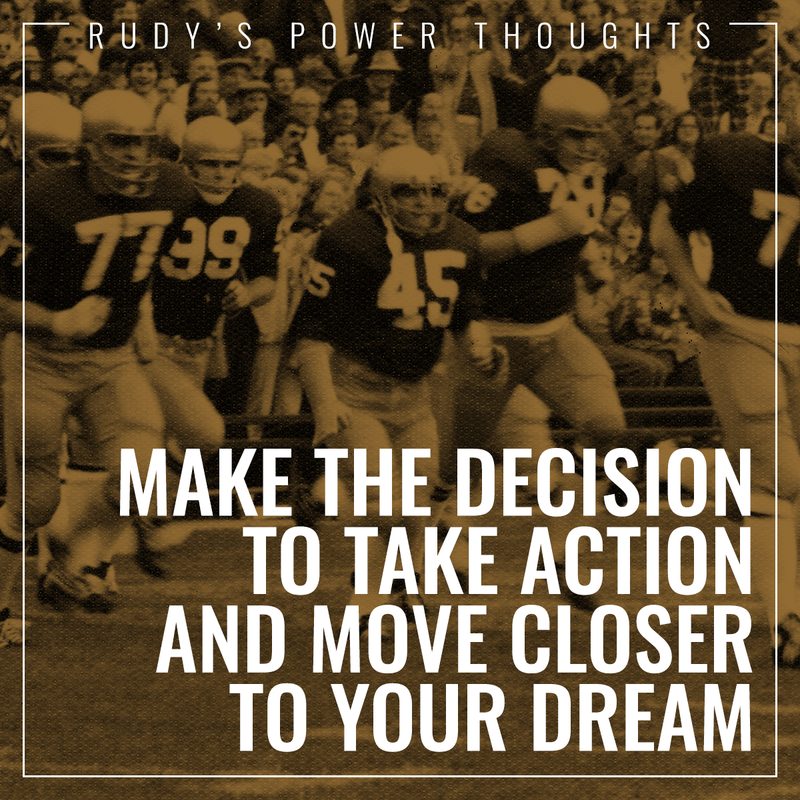 "Millions have been inspired by the movie RUDY, now let the man behind the movie inspire YOU"
Rudy inspires audiences to Dream Big and Never Quit His message brings audiences to their feet every time! 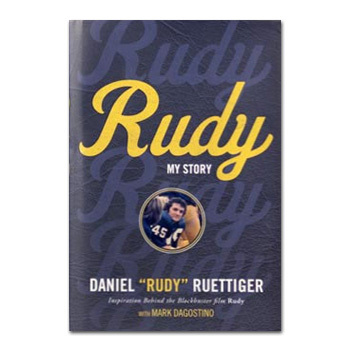 Rudy's real life story tells how he overcame the biggest struggles in his life to beat the odds and accompish his dreams. 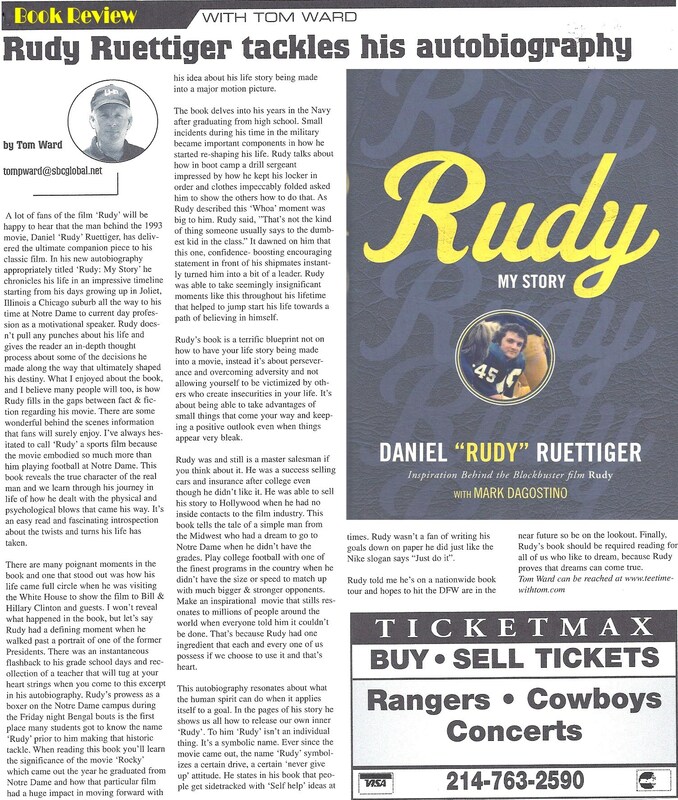 Rudy shares how he got through Notre Dame, made his famous tackle, and how his story became the subject of the Major Motion Picture RUDY. Rudy brings people together. He unites teams with a common goal to succeed and make things happen. 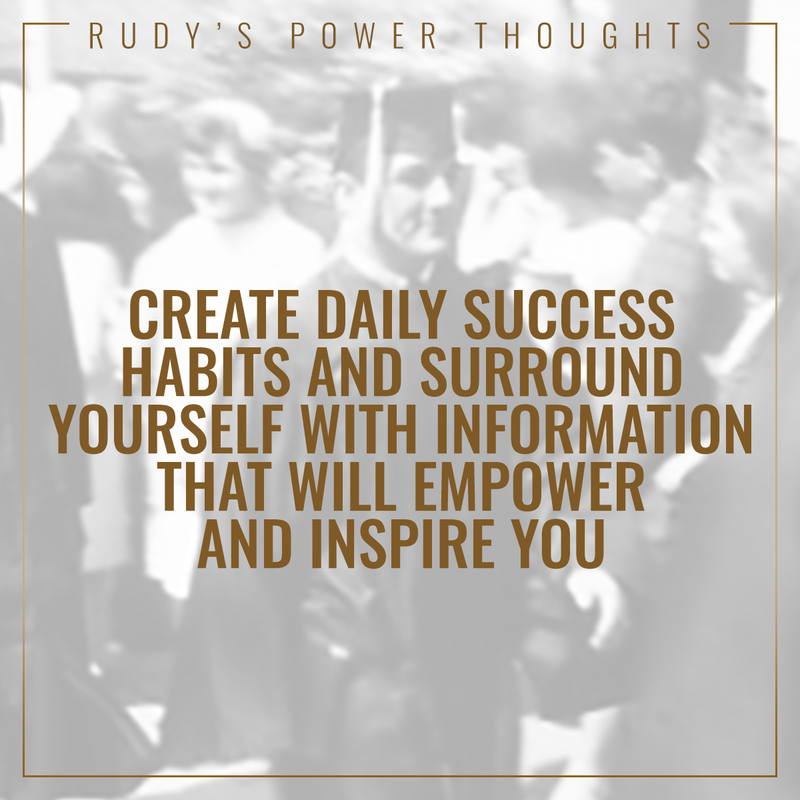 Rudy focuses on the importance of relationships and using our strengths to accomplish goals. 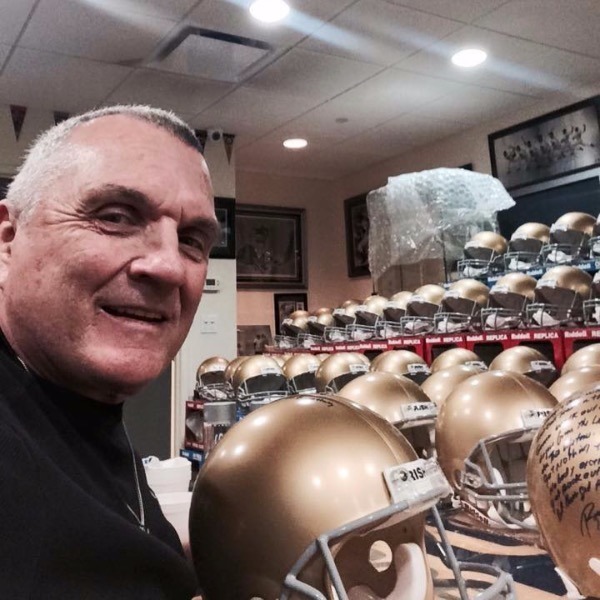 Against all odds on a gridiron in South Bend, Indiana, Daniel "Rudy" Ruettiger in twenty seven seconds, carved his name into history books as perhaps the most famous graduate of the University of Notre Dame. The son of an oil refinery worker and third of 14 children, Rudy rose from valleys of discouragement and despair to the pinnacles of success. Today, he is one of the most popular motivational speakers in the United States. It took years of fierce determination to overcome obstacles and criticisms, yet Rudy achieved his first dream - to attend Notre Dame and play football for the Fighting Irish. As fans cheered RU-DY, RU-DY, he sacked the quarterback in the last 27 seconds of the only play in the only game of his college football career. He is the only player in the school's history to be carried off the field on his teammates' shoulders. 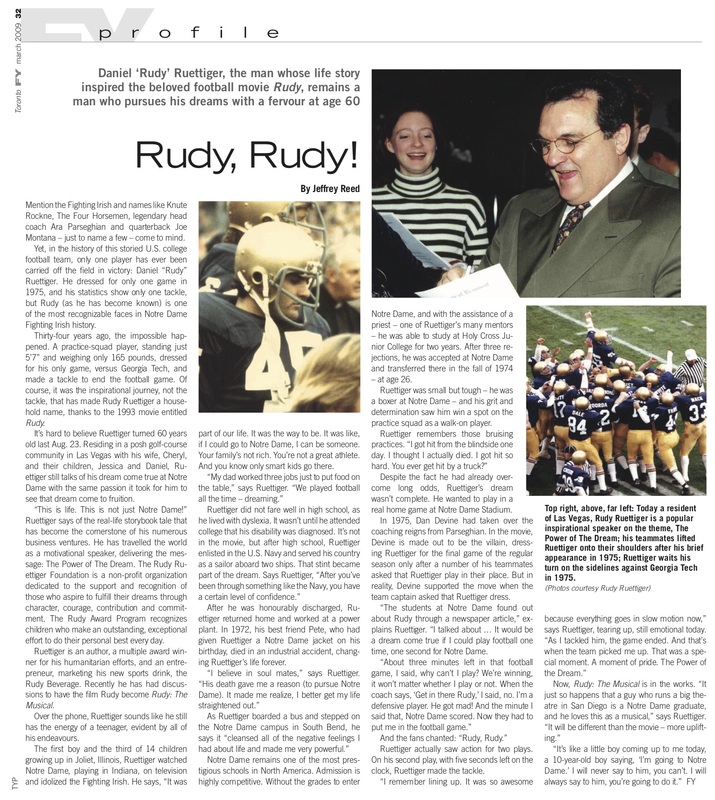 In 1993, TRISTAR Productions immortalized his life story with the blockbuster film, RUDY. 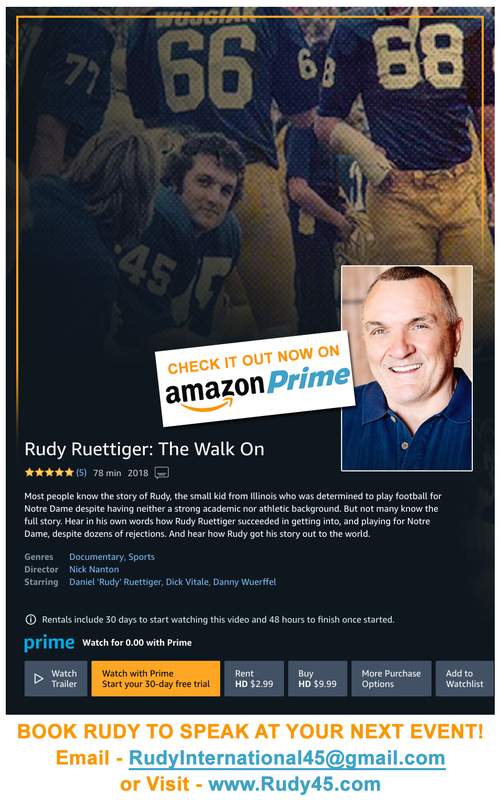 Written and produced by Angelo Pizzo and David Anspaugh, the award-winning team who brought us HOOSIERS, the critically acclaimed RUDY received "Two Thumbs Up" from Siskel and Ebert and continues to inspire millions worldwide. 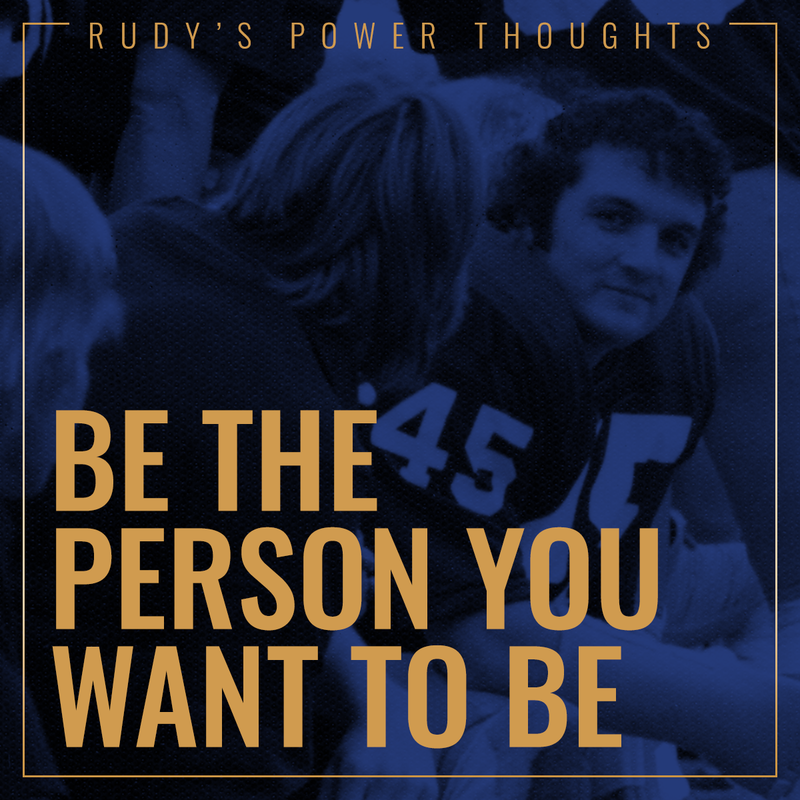 In addition to his motivational speaking, Rudy has co-authored several books, including: RUDY'S INSIGHTS FOR WINNING IN LIFE, RUDY'S LESSONS FOR YOUNG CHAMPIONS, RUDY & FRIENDS, THE RUDY IN YOU, and RUDY: MY STORY. 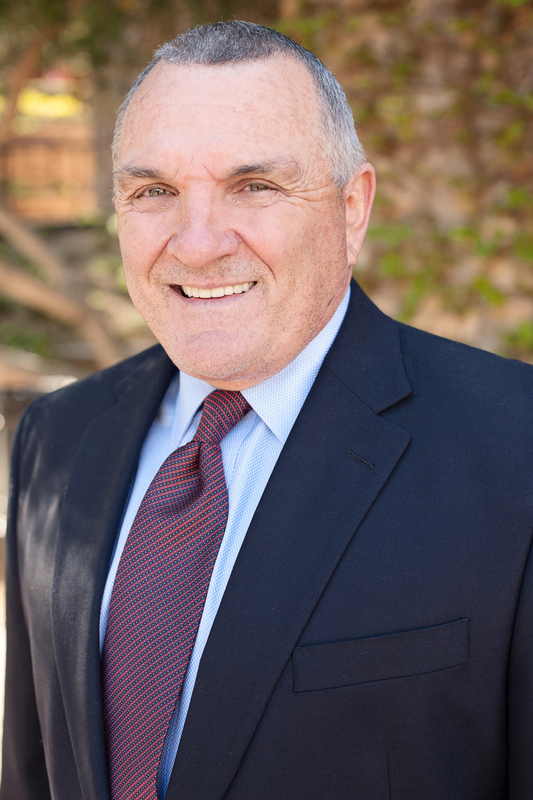 He co-founded the RUDY FOUNDATION, whose mission is to strengthen communities by offering scholarships in education, sports, and the performing arts. The Rudy Foundation makes a positive impact by bringing people together. The Rudy Foundation develops and supports programs that positively impact the lives of children cognitively, emotionally, physically and spiritually. 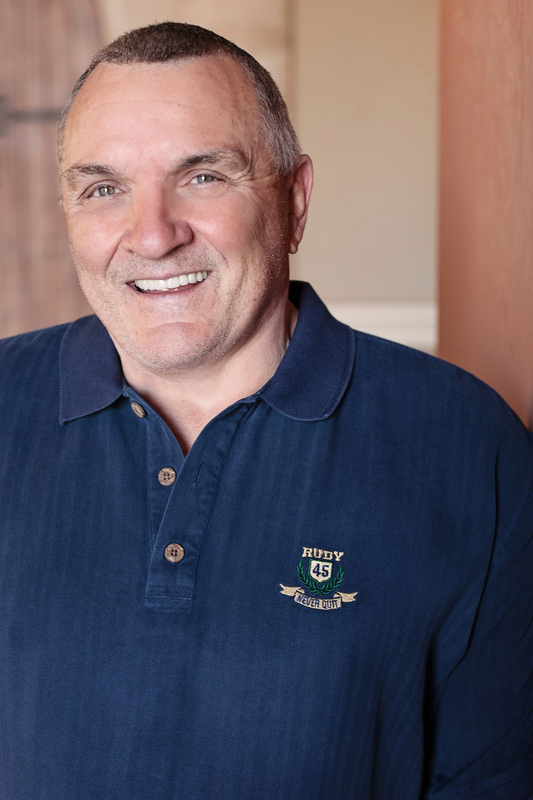 The RUDY AWARDS TM Program was created by the Rudy Ruettiger Foundation to recognize children who make an outstanding, exceptional effort to do their personal best everyday, overcome obstacles, set goals, stay on track to reach their Dreams and build the qualities of Character, Courage, Contribution, and Commitment into their lives everyday. The RUDY AWARDS TM is about a child's heart, will to change, and desire for self-improvement. Rudy has two awesome children; Jessica Noel Ruettiger and Daniel Joseph Ruettiger. Most currently Rudy performed his one man show, DREAM BIG on Broadway!! This show will also tour to other cities including Chicago, Boston, and Las Vegas. 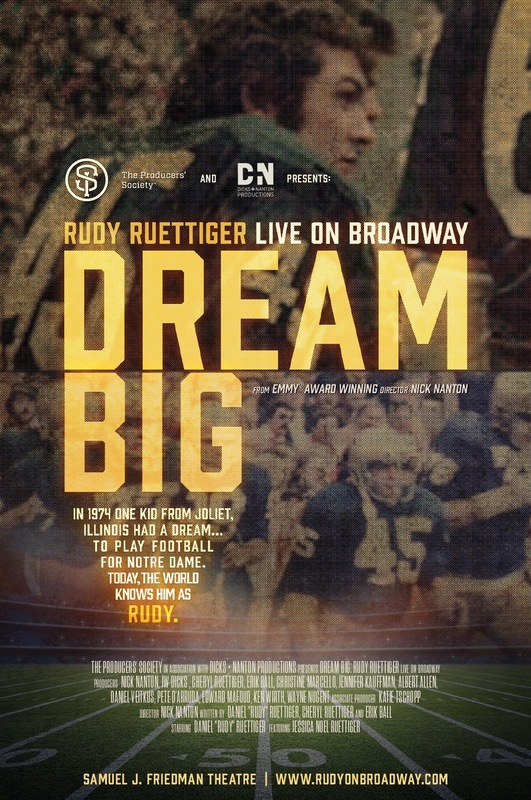 In addition Rudy's new documentary titled, DREAM BIG – The Walk On won several Emmy Awards for Best Director and Best Documentary. The link is available on Amazon. 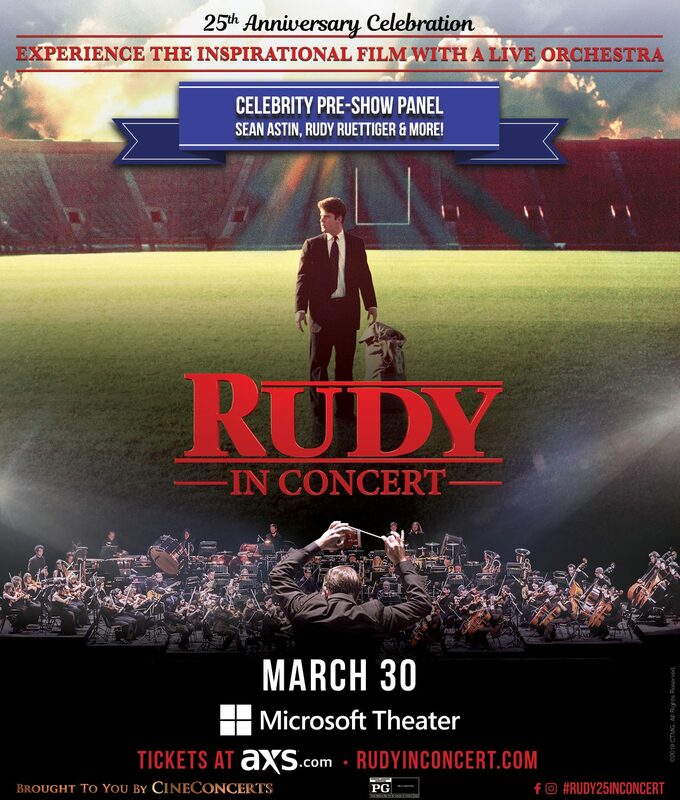 In Celebration of the 25th ANNIVERSARY of the Movie RUDY, the film was presented on the big screen at the Microsoft Theatre in LA while the musical score was performed live by the Hollywood Orchestra. -The key to numerous cities across the nation along with special proclamations for his inspiration, commitment, and human spirit. 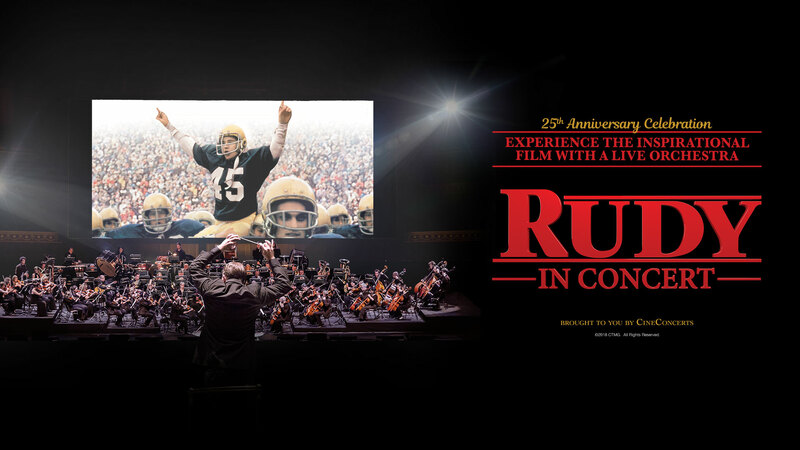 - Celebrated the 25th ANNIVERSARY of the movie RUDY at the Microsoft Theatre in LA honoring composer Jerry Goldsmith while the Hollywood Orchestra performed live playing the entire soundtrack during the screening.